Japanese biotech company GNI Group will end enrolment of new patients for a phase 2 liver fibrosis trial of its drug candidate F351 in China following the recommendation of an independent data monitoring committee based on the positive efficacy results achieved till date. 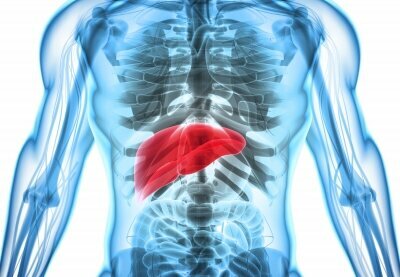 So far, 175 out of the originally targeted 240 patients have been enrolled in the phase 2 F351 liver fibrosis trial. The Japanese biotech company started the mid-stage Liver Fibrosis study in 2015 to know about the safety and efficacy of F351 for treating liver fibrosis caused by chronic Hepatitis B virus infection. The liver fibrosis trial was conducted with a randomized, double-blind, placebo-based multi dose, multi-center dosage exploration that featured 13 Class AAA hospitals in China. The primary endpoint of the liver fibrosis trial is the improvement of the ratio of Ishak score by one grade in liver fibrosis. IDMC recently revealed its review of the interim safety and efficacy outcomes of the F351 liver fibrosis study. It found F351 to have demonstrated a favorable safety profile in general. Dose-reponse has been seen with best efficacy in the patient arm subjected to 270 mg/day. The committee recommended continuing the liver fibrosis trial in the remaining 36 patients for the treatment through the 52 week regime before wrapping it up. The phase 2 liver fibrosis study in China is slated to be wrapped up in mid-2019 with final reports to be announced and presented before the international scientific community. GNI Group said that it will move ahead with the preparations of a phase 3 clinical trial for F351 in China and also the review of data from a phase 1 trial held in the US. F351 is a new chemical entity derived from Etuary which prevents hepatic stellate cell proliferation and the TGF-β signaling pathway as well. Both these are responsible for fibrosis of internal organs.